We play the music that gets the crowd on their feet and do it without making long boring speeches. Often times, Corey has led a "party train," started a "Hollywood Blvd," or played a game at sweet 16's to get the party going. 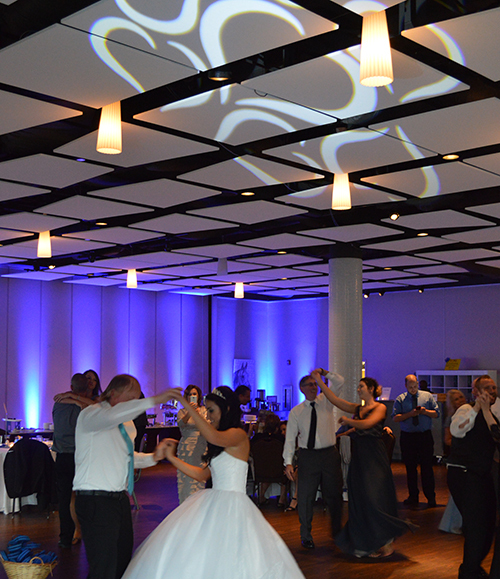 At wedding receptions, we will introduce you as you come in and take you through the entire day so you can relax and have fun! Do you know what subharmonics are? Do you have a firm understanding of compression and limiters? Do you know how to set feedback filters and adjust sound and EQ to a room? Good news – you don't have to! 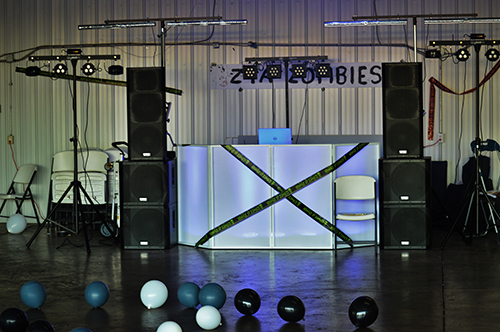 With each PA system we set up and adjust some of the best sound equipment available and adjust it to the room. In stock and ready to go with laser lights, party lights, and par can uplights. 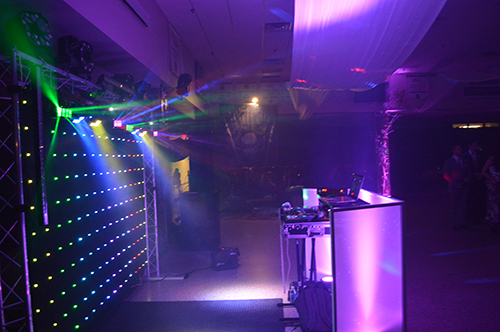 We can often change the color of your room to whatever color you desire or fill the room with laser beams. We also have water based haze machines which have replaced the old fog machines of yesterday.